Toxic Free NC, a non-profit organization advocating for human and environmental health since 1986, offers many resources for child-care providers and parents of young children. One of their major program initiatives, Toxic Free Kids, brings awareness to child care providers, families, public school teachers and administrators, and others regarding the risks surrounding the use of toxic pesticides. Integrated Pest Management (IPM) planning is a good strategy for avoiding risks from toxic chemicals found in many pesticides while at the same time controlling insects and other pests in childcare and school-age settings. Use the links below to access Toxic Free NC resources. All of the pages below have downloadable resources in PDF format for printing and sharing. 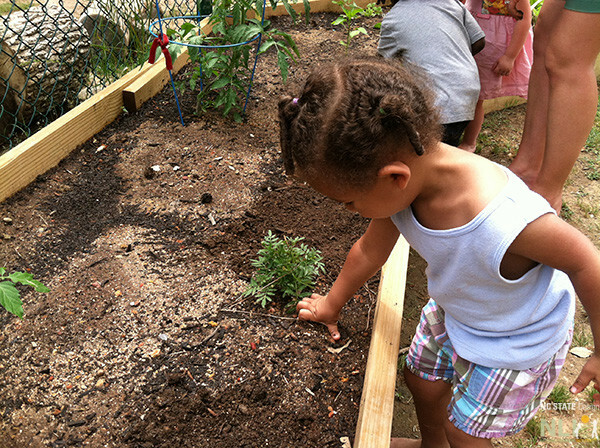 Safe gardens are important from seed to table. How to contract for Safer Pest Control in Childcare – Questions to ask pest control services before hiring them to service your childcare center. Fact Sheets and Articles: Pest specific guidelines including ants, lice, and ticks.